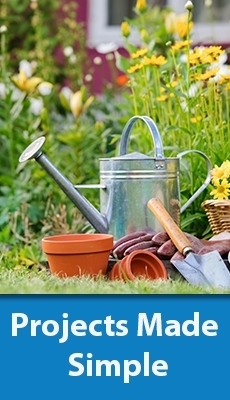 Wouldn't it be nice to have an experienced gardener at your side to show in a clear and concise manner how exactly you can undertake that garden project? 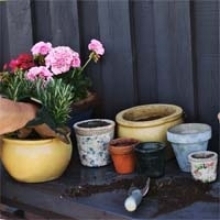 Well, these how-to guides are just that, an ongoing set of tutorials that demonstrate the best methods for establishing and caring for your garden plants. 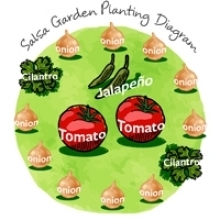 Graphically illustrated along with clear direction, our how-to guides will be your gardening mentor. 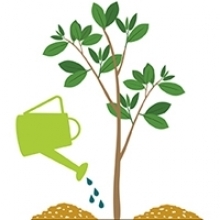 Learn how to plant a tree with these illustrated steps. 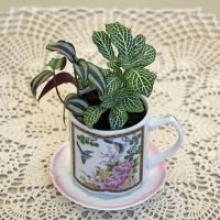 Foliage plants potted into teacups are a charming and unexpected way to display your houseplants. 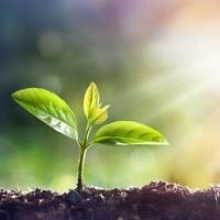 Whether you're starting a plant from seed or transplanting from a garden center purchase, you need to understand what light conditions your new plant requires and where in your garden to find it. 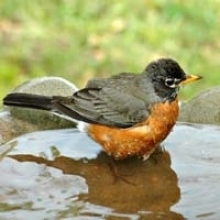 This article introduces the terms "full sun," "part sun," and "full shade" and explains how to measure for each. 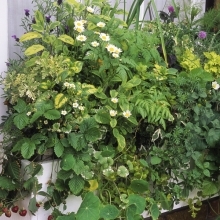 A large pot dripping with a bouquet of herbs and flowers is often the most stunning feature of a container garden--and the biggest headache when it comes time to move the heavy planter. 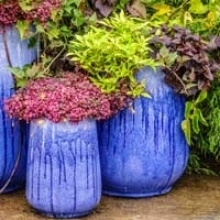 This article describes four ways you can lighten up those big containers without sacrificing aesthetics or growing space. 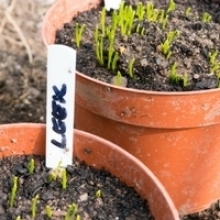 Learn how to plant a perennial plant with these illustrated steps. 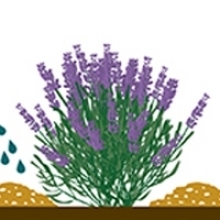 Learn how to plant an annual plant with these illustrated steps. 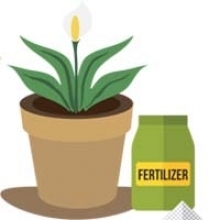 Learn how to plant a houseplant with these illustrated steps. 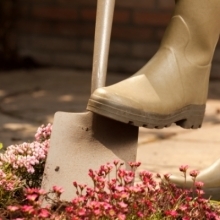 You don’t need to spend a fortune or do a lot of work to give your landscape a new look. 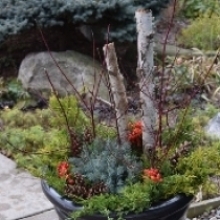 Just choose a theme and get creative with fresh colors, planters and garden ornaments. 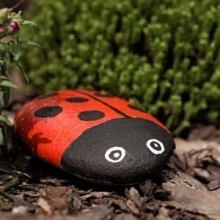 These garden-themed toys are the purrrfect way to please your favorite feline and put your home-grown catnip to good use. 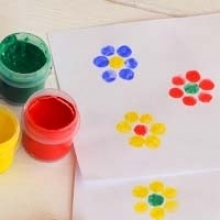 Super-simple to make and they're also a terrific gift for anyone with a cat. 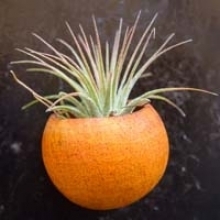 An easy step-by-step DIY project for a charming air plant holder. 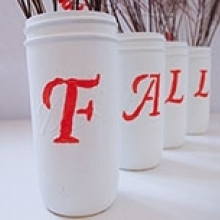 Dried gourds are ideal for crafting into decorations. 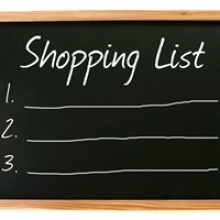 Here are three super-easy styles everyone will want to try! 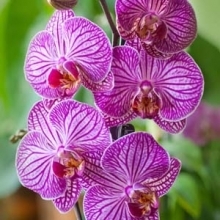 To keep your orchid blooming every year, it should be repotted regularly. 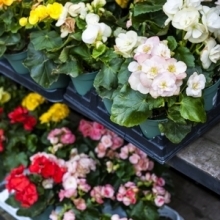 Celebrate autumn by switching out heat-loving "summer" plants for some that thrive in cooler temperatures. 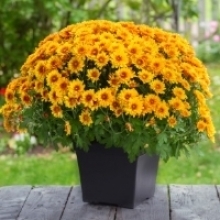 Chrysanthemums, also known as “mums”, are available in hundreds of colors and flower forms. 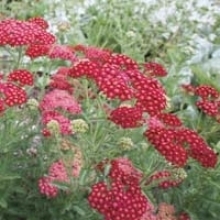 They bloom for several weeks in the autumn, adding a colorful boost to tired summer landscapes. 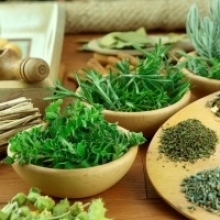 In the survival-of-the-fittest world of plants, there are bound to be a few that come out on top. 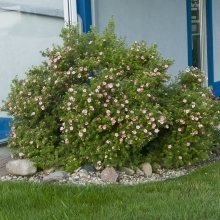 These ten shrubs have proven that they have what it takes to endure some of nature’s harshest conditions. 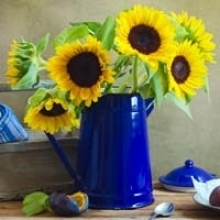 Sunflowers are a fun garden flower and their seeds are a popular snack. 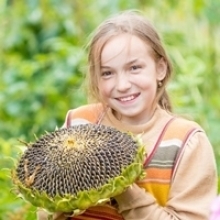 Learn how and when to harvest the tasty seeds of sunflowers in seven easy steps. 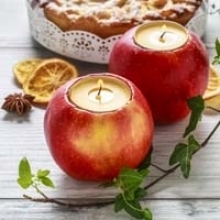 With a few quick and easy steps, you can turn a fresh apple into a beautiful candleholder. 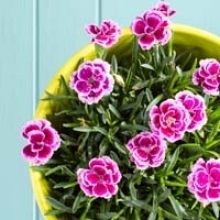 It's fun to make gifts yourself, especially when they're as easy and as attractive as this fingerprint flowerpot! 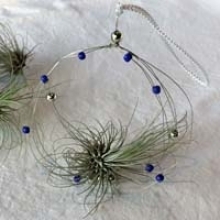 Creating your own magnetic air plant holder couldn't be easier! 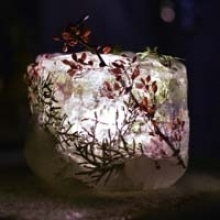 Out of ideas for decorating for your next outdoor party? 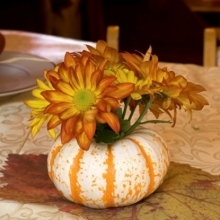 Try one of these simple DIY ideas for tables that are fresh and festive. 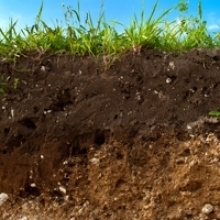 Topsoil being carried away by rainfall can be a serious problem. 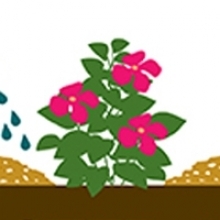 Here are methods to control erosion, including the strongest deterrent, plants. 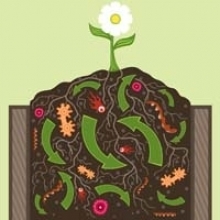 Start composting with these tips and basic steps! 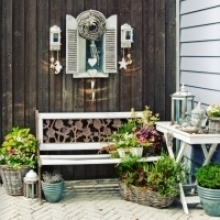 Ten beautiful outdoor accents that are easy, inexpensive and a great way to bring a touch of your unique personal style to outdoor areas. 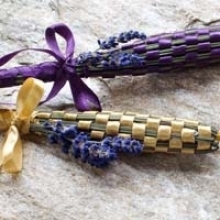 Instructions for making a classically beautiful lavender wand with a calming scent. 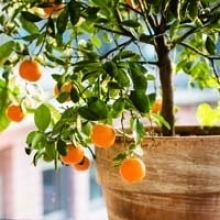 Follow this beginner’s guide to grow and harvest your own lemons, limes or mandarins. 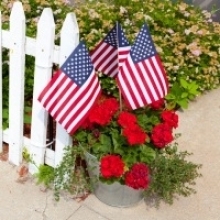 What better way to show your patriotism than with colorful containers filled with red, white, and blue flowers to adorn your home and garden? 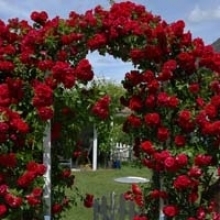 Here are tips on selecting long-blooming flowers that are available in red, white and blue and grow well in containers. 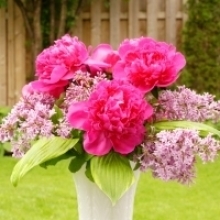 Follow these words of advice and your flowers will stay fresh and pretty. 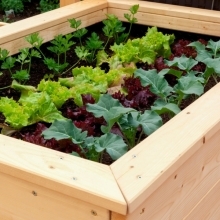 Even if you don’t have a lot of garden space, you can still grow plants in containers that will provide food for caterpillars, nectar for butterflies and shelter for their eggs. 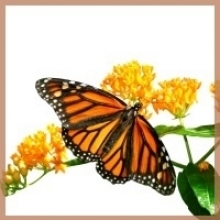 This article includes a list of plants favored by butterflies. 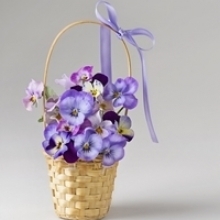 This May 1, mark the special occasion by filling a basket-like jar with flowers to give your friends & family. 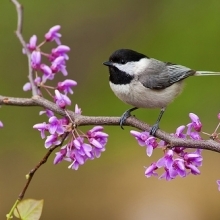 With some thoughtful planning, you can attract a wide range of birds to your backyard. 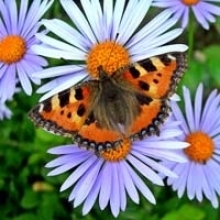 Flowering plants are all beautiful, but some are more fragrant than others. 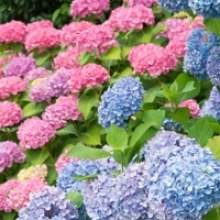 Discover ten plants that will add exceptional fragrance to your landscape. 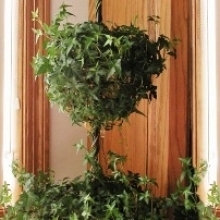 This holiday season enjoy a living tree. 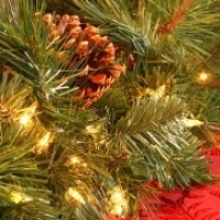 You can feel good about having a living Christmas tree: It looks beautiful and effectively filters harmful pollutants from the air - ­making your home safer for your family. 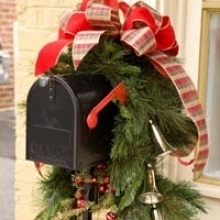 Uplift yourself, neighbors and friends by decorating your doorstep with a beautiful arrangement of branches, berries and other natural elements. 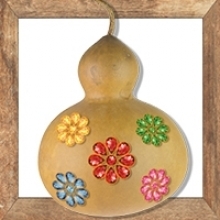 Show your unique sense of style and express your creativity through homegrown gourds! 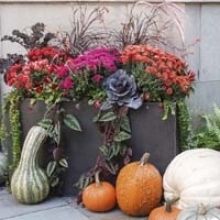 These step-by-step instructions describe how to dry decorative gourds for indoor and outdoor display. 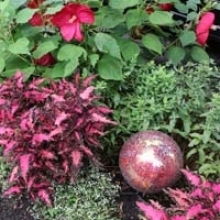 Show your team spirit all season long by planting flowers that represent the colors of your favorite college or professional football team. 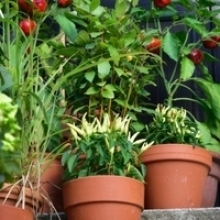 Try an expert-recommended combo of plants that will withstand hot weather in your next container display. 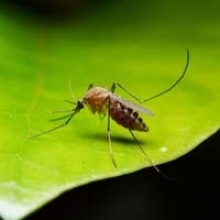 Quite a few common plants contain natural compounds that mosquitos find offensive and avoid. 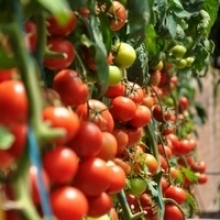 These tips require very little effort but can have a big effect on the health of your tomato plants and the quality and timing of your harvest. 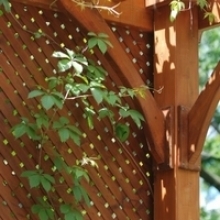 Yes, you can grow a privacy screen in a reasonable amount of time. 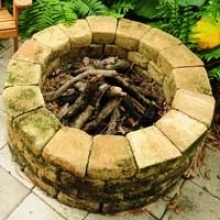 Hardscape is not a catchy term for overly difficult gardening sites. 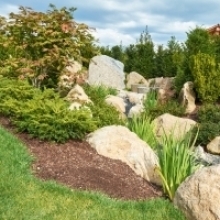 Hardscape simply means the hard, durable parts of the landscape…the non-plant elements. 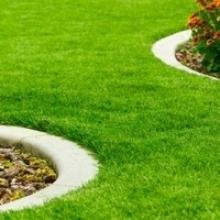 Early spring raking, aeration, and fertilization all help create a healthy lawn that is thick and vigorous, with better pest and disease resistance. 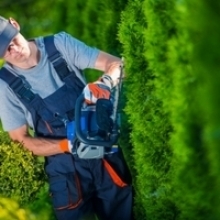 How and when to prune trees and shrubs. 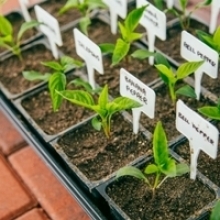 Labeling your plants is a great way to remember plant names or identify where plants are located. 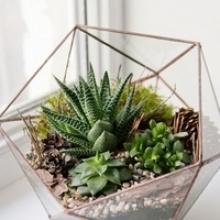 This is the perfect project to take on when you're snuggled up indoors on a winter day planning for spring. 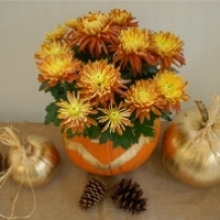 A beautiful Halloween centerpiece with minimal work, but all of the beauty! 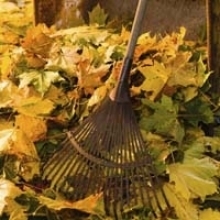 Leaves are great for protecting plants over winter, plus they break down and enrich the soil in garden beds. 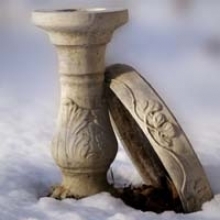 Bearded, Siberian, and Japanese iris plants should be divided 6 weeks before the first hard frost every 3-5 years. 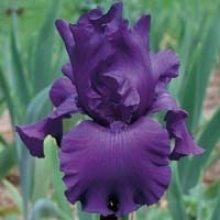 Follow these step-by-step instructions to keep your iris at their best. 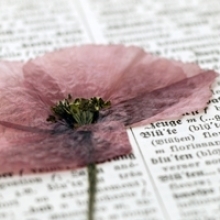 With minimal effort and a perfectly timed snip, an ephemeral flower may be transformed into an eternal flower. 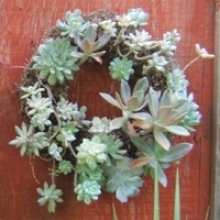 Add modern style to your entryway or outdoor table with this easy-to-make living succulent wreath. 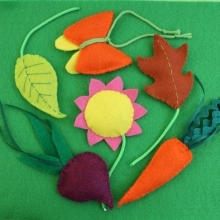 This project will take about an hour and a half to complete, requires minimal care afterward, and can be used again next year. It's surprisingly simple and inexpensive to make sour, crunchy pickles at home. 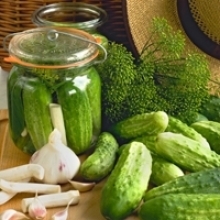 Follow these five simple steps to prepare your own fresh pickles. 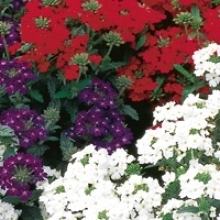 Plant a garden bed with red, white and blue flowers at the base of a flagpole to create a beautiful display of patriotism and pride. 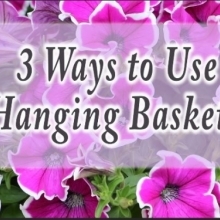 Hanging baskets are beautiful! 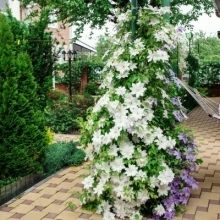 The best part about them is you are not restricted to just hanging them. 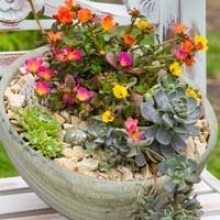 You can put them in a gorgeous container for a doorway showpiece or you can plant them right in a flower bed or box planter. 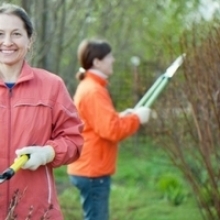 April 22 is a day to make a positive change that benefits our home, the earth. 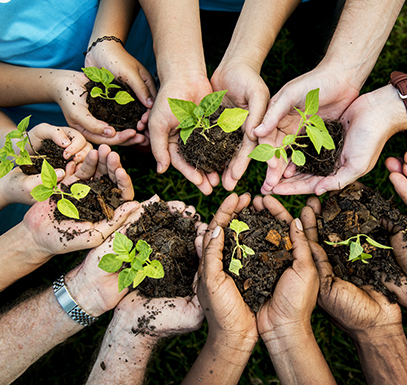 Pay it forward to our planet with some or all of these easy-to-do projects. 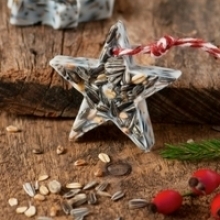 A naturally beautiful holiday decoration is easy to whip up in no time with no added expense. 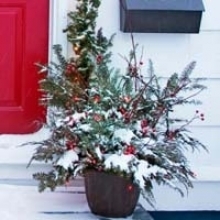 Grab a few plant trimmings and follow these do-it-yourself instructions to create festive winter containers in no time! 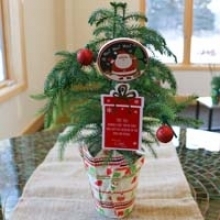 For some, the Christmas season just isn't the same without a real Christmas tree. 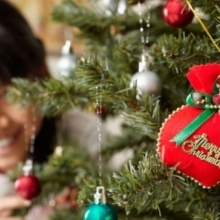 Whether you cut it down yourself or pick it up from your local garden center, you want your tree to remain fresh throughout the holiday season. 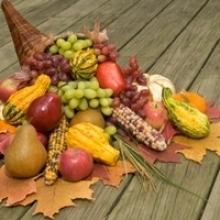 Use natural objects to create easy, budget wise decorations for your Thanksgiving gathering! 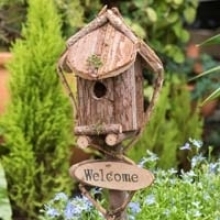 Recycling and upcycling are a fun and affordable way to add a personal touch to your home. 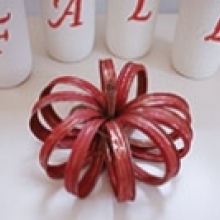 Here are the step-by-step instructions to transform jar rings into a pretty pumpkin. 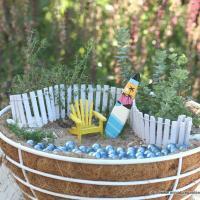 Tips on how to create miniature and fairy gardens.